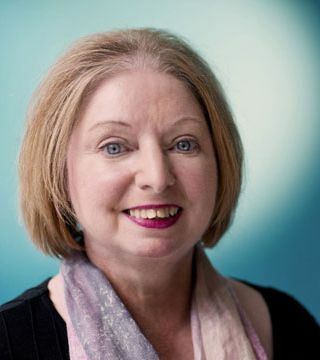 This year’s Reith lecturer, the award-winning historical novelist Hilary Mantel, is in the middle of her five-lecture series on Radio 4, delivered on Tuesdays and repeated on Saturdays. Her subject is writing historical fiction, though rather than talking about the Tudor period which she has made her own, her subjects are more personal. She has maintained that historical fiction “can bring the dead back to life” in a way that factual history, with its focus on accuracy, does not. In her books, as in plays and paintings, “we sense the dead have a vital force still”. Should you wish to catch up, you will find the first here, with links to transcripts and other related material, on the BBC’s iPlayer site. Her books Wolf Hall and Bring up the Bodies focus on the reign of Henry VIII, in particular the life and career of Thomas Cromwell. History has not been kind to him, characterising him as a ruthless fixer. Shakespeare’s play Henry VIII concentrates on the downfalls of Katharine of Aragon and Thomas Wolsey, with Cromwell a relatively minor figure, even after Cardinal Wolsey’s fall from favour. One of the reasons Shakespeare’s history plays have continued to be popular is because they too bring the dead back to life, imbuing them with that vital force that Hilary Mantel talks about. Nowhere is this seen more forcefully than in Richard III, the villainous Richard being one of Shakespeare’s most compelling characters. 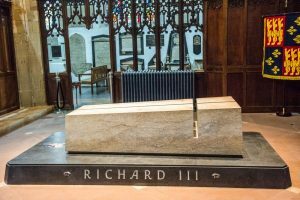 Many will remember the drama that unfolded when the remains of the historical Richard were discovered beneath a Leicester car park, followed by his reburial within the cathedral itself in 2015. I wrote several blog posts at the time including this one about the killing of the princes in the tower which Shakespeare, following his sources, laid on Richard. Now two performances of Shakespeare’s play are to take place within the cathedral, on 19 and 20 July, by the Theatre Group Antic Disposition. They are taking their production to several of England’s cathedrals and churches including Ely, Salisbury and the Temple Church, London. 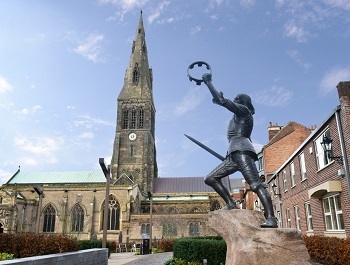 Not surprisingly the idea of performing Shakespeare’s play in the same space as the King’s tomb has been controversial, with the Richard III Society and Richard III’s Royal Supporters arguing it is disrespectful and insensitive. The full story, including the Dean’s response to their petition, is told here by the Leicester Mercury. “By bringing our production to Leicester, one of our aims is to enable the audience to explore the wider story around Richard, a more balanced and nuanced version than Shakespeare’s. The decision has been defended by the cathedral authorities who have suggested the play allows people to “engage with different dimensions of this complex story”. “The legacy of myths, the mystery and the man himself will continue to interplay and at times this will arouse strong responses. Surely they have a point. The performances are certain to have an additional frisson, but could be wonderful experiences providing a direct opportunity to explain that Shakespeare’s brilliantly imagined king is an invention. And Hilary Mantel’s lectures are a terrific place to start for anyone wanting to understand more about the difference between the creative artist and the historian. Maybe the followers of the historical Richard could celebrate these performances. 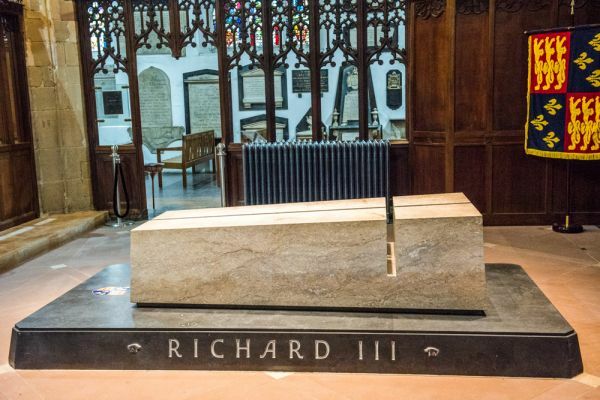 Shakespeare’s Richard is unforgettable: without him Richard III would probably only be remembered as the last of the Plantagenet kings of England and his bones would have remained buried under the car park for ever. This entry was posted in Legacy and tagged Antic Disposition, Henry VIII, Hilary Mantel, Leicester, Leicester Cathedral, Leicester Mercury, Reith Lecture, Richard III, Richard III Society. Bookmark the permalink.